Maybe you’ve never heard this name but last week, he went down in Barclays Premier League. 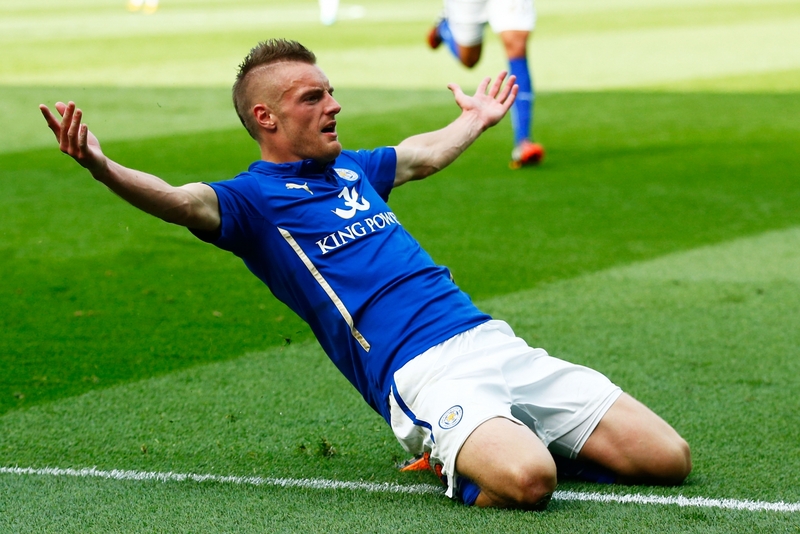 Jamie Vardy is an English striker who plays in Leicester. He is not a very famous striker but this year, what he is doing this season is absolutely crazy. He scores 14 goals in 15 games : very good statistics for a striker. But the thing which is awesome is that he scored 11 matchs in a row. The old record was held by Ruud Van Nistelrooy, the Dutch ex-striker of Manchester United. To score 11 matchs in a row in an incredible performance. It require an outlandish consistency. Furthermore, he scores against best english teams like Manchester United, Arsenal or Tottenham. With this performance, he helps his team to reach the first place of the championship, completely unexpected for Leicester which only aim is to stay in first division at the end of the season. If he keep the same pace until the end of the season, there is no question that he will leave Leicester for a top club.